“It starts with making a connection and that's my favorite part of working with people! I strive to make a personal connection with everyone I work with, and through that, I can really understand their needs and goals. The trust and honesty that is created with true connection is what powers us to accomplish their dreams. Dylan was a standout in college on the St. Thomas baseball team and has taken his passion to dominate to the field of real estate! He has excelled in a number of different areas with regard to customer service and is an excellent communicator. 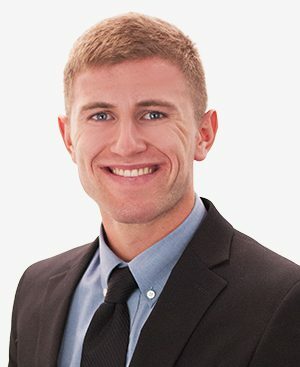 Dylan strives to build deep relationships with his clients and is committed to putting their success before his own. My dream job would be… to be a pilot because I love to fly. My first job was… being a landscaper’s/gardener's assistant. When I’m not working, you’ll find me… playing sports or hanging with my friends and family. The best “unknown” restaurant I’ve been to is… the Groveland Tap in Saint Paul. My favorite food is… my Mom’s homemade spaghetti. Favorite vacation spot… anywhere I can put up my tent.